Necessity is truly the mother of invention. Many of the companies noted below were founded by parents of allergic children who saw a need for safe snacks for them to eat and share with friends. Please see the company websites for product photos as well as full details on their ingredients, production facilities, pricing and shipping information. When the folks at Vermont Nut-Free Chocolates sent us some of their signature goodies, they promised that their chocolates would be as good as any other. The chocolately smiles around my kitchen table confirmed this. Their bars were gobbled up before I could say “peanut free.” I found their chocolate-covered pretzels (available in white, milk or dark chocolate) to be the perfect marriage of sweet and salty. I even managed to save a few for the boys to see if they agreed with me; they did. True to their tagline, made to share, they responded to my request for cookie samples with about a dozen two-packs of chocolate chip, oatmeal chocolate chip and molasses ginger cookies along with caramel corn, rock candy, jelly beans, and their signature pack of cupcakes. Share, indeed! We put out quite a dessert spread when some friend came over for dinner. We wanted to know what nonallergic people thought of these snacks. Would the parent of a nonallergic child feel comfortable serving this at a class party or keeping these in the pantry or freezer? 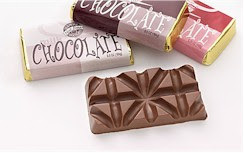 When it comes to Divvies treats, the answer is resounding Yes! Like the Vermont Nut-Free Chocolates, Divvies caramel corn was as sweet and fresh as any we’ve tasted. The boys approved of all the big, soft cookies, though I found them rather crumbly. Surprisingly for my house, the ginger molasses cookies were our favorite; they even tasted great after a couple of weeks in the freezer. Divvies offers a clever cupcake kit, packaged in a box that converts to a holder for the decorated treats. Like the cookies, they produced a lot of crumbs. The fours boys I served them to enjoyed decorating the chocolate cupcakes with the chocolate frosting and sprinkles included in the kit. This kit is an ideal allergy friendly treat for class parties. And with their sophisticated packaging, complete with themed boxes tied with elegant bows, Divvies make a great gift. Nonuttin’ is best known for healthy nut-free granola products and cereal bars. 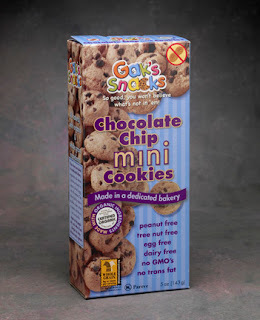 Their products are not free of all allergens, but each product is clearly labeled with information on the top ten allergens as well as gluten. For example, their cereals bars carry a sesame cross-contamination risk due to their crisped rice supplier. Because of the sesame exposure risk, Smartypants didn’t sample these, but the rest of us did and found the chocolate chip and double-chocolate bars comparable to more popular brands of cereal bars. We brought Nonuttin’s cinnamon-vanilla granola clusters (made without eggs, dairy, peanuts or tree nuts) to a picnic. “They’re Canadian,” said my friend who read the package, “So you know they’re good.” Some of us think so kindly of our neighbors to the north. The slightly crunchy, slightly chewy clusters were a hit, and proved to be almost as popular as the homemade chocolate chip cookie my friend brought to the picnic. Check out Nonuttin’s one-time sample pack offer to try before you buy in bulk. Gak’s Snack’s tagline is so good you won’t believe what’s not in ‘em. As with Divvies, the company’s motto rang true. The boys gobbled up the large, soft cookies, and they loved the crunchy mini-s too. Ironically, they enjoyed these dairy-free goods dunked in a cool glass of milk. “It makes them taste like Mrs. Field’s cookies,” explained Smartypants. I’ll be honest, it’s been a while since my boy had a Mrs. Field’s cookie, but nonetheless, both boys really liked the organic brownie chip as well as the chocolate chip cookies. All Enjoy Life foods are specially made (in nearby Schiller Park) to be free of all eight common allergens. They contain NO wheat/gluten, dairy, peanuts, tree nuts, egg, soy, fish or shellfish, and they’re made without other common triggers of intolerance: casein, potato, sesame and sulfites. So, they just sell empty bags and boxes right? Far from it. Their extensive product line includes cookies, granola, snack bars, bagels trail mix and chocolate chips. I’ve become oddly addicted to their “Not nuts! 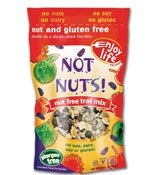 Nut free trail mix.” It’s got sweet and salty, fruit bits and mini-chocolate chips as well as sunflower seeds. I didn’t miss the nuts, though admittedly, DH did. As for the cookies, Enjoy Life’s soft cookies are about the size of a flattened golf ball. And Pickahu especially enjoyed the chocolate chip cookies, while I favored the Snickerdoodles. To some degree gluten-free baked goods are an acquired taste. 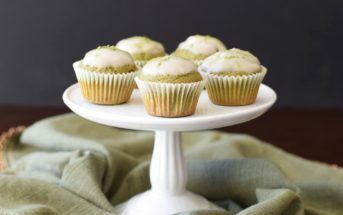 Newbies should be aware that gluten-free baked goods tend to be denser and chewier than their flour-filled counterparts. If you don’t think the whole class will go for them, it’s at least nice to know you can fill a goody bag or provide a special treat to an allergic child, a child whose taste buds, no doubt, are adapted to gluten/dairy free snacks/nut-free snacks. 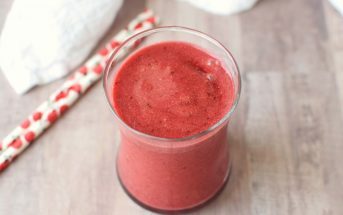 What are your favorite allergy-friendly products? Writer Kim Moldofsky blog’s about her brood’s dining adventures and serves up other interesting foodstuff at Scrambled CAKE. She also contributes to the Chicago Moms Blog.